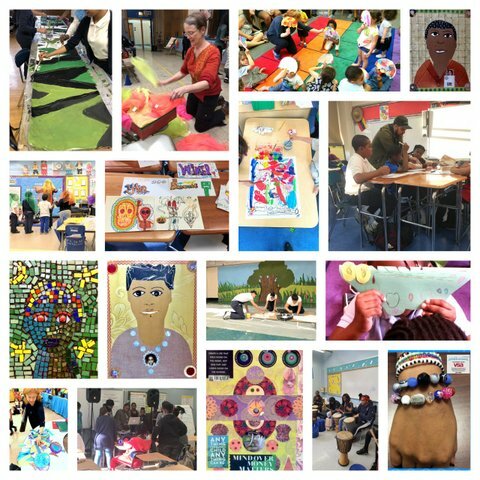 Arts Horizons is pleased to recognize our ongoing partnership with Mosholu Montefiore Community Center (MMCC) and to highlight our summer arts education programs at 8 of their Cornerstone sites. MMCC is a longstanding community organization that serves more than 35,000 preschoolers, school age children, teens, adults and senior citizens in Bronx and Manhattan through free and affordable support, enrichment, education, and recreation programs. MMCC offers a wide selection of after school programming for all age groups at more than twenty sites in the two boroughs. MMCC’s after school and summer programming is part of the Beacon and SONYC (School’s Out NYC) initiatives by the Department of Youth & Community Development (DYCD) in collaboration with the Administration for Child Services (ACS) and the Department of Homeless Services. 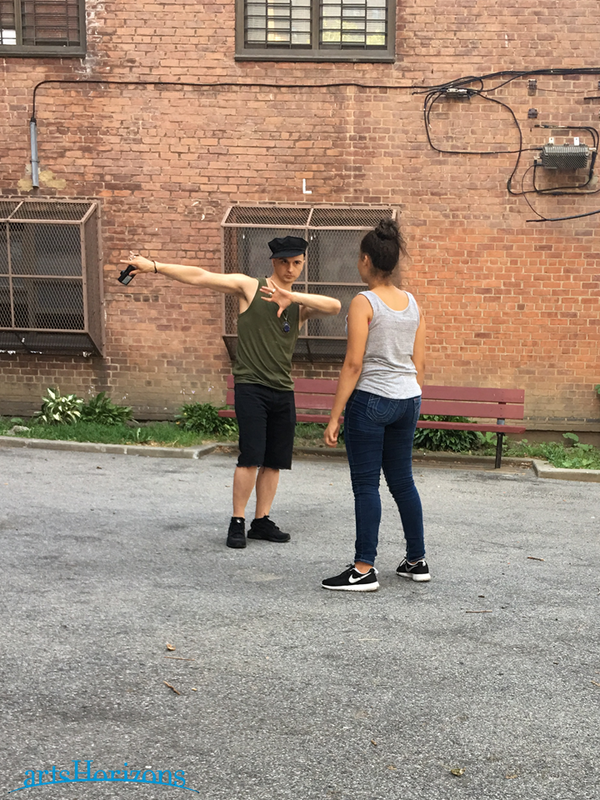 We are thrilled that 10 AH Teaching Artists provided such an eclectic offering of engaging summer programming to elementary and middle school children at various community centers in Manhattan and the Bronx. Larry Washington, Ibrahima Camara, and Yako Prodis conducted lively percussion and music residencies at Grant and Boston Secor Cornerstones. Aaron Lazansky, Natalie Alleyne, and D. Cross taught visual arts at Pelham Parkway, Edenwald, and Parkside Cornerstones. Dawn Crandell, Dean Maitland, Ken Fury, and Silvana Marquina conducted dance and movement residencies at Fort Independence, Marble Hill, and Gun Hill Cornerstones. AH Program Coordinator Kiran Rajagopalan had the opportunity to visit the community centers in Fort Independence, Marble Hill, Edenwald, and Boston Secor to see Dean, Ken, Ibrahima, and Natalie in action. Let’s take a quick peek into their classes! Dean Maitland is a versatile dancer and choreographer from Grenada, and he is the founder of Arts-in-Motion (A.I.M.) in Brooklyn. His highly informative dance residency at Fort Independence introduced students to various styles of dance including: West African, Afro-Caribbean, Hip Hop, Ballet, and Jazz. Dean then combined various basic movements from each dance style into a scintillating routine that students enthusiastically practiced for nearly 90 minutes! Noted break dancer, visual artist, and jewelry designer Ken Fury (founder of the Breaking Institute of the Arts) conducted a dance residency at Marble Hill which focused on the BBoying aspect of Hip Hop dance. Students learned some of the basic break dance freezes and footwork, and they choreographed a small sequence of movements to be incorporated into a final dance. Ken even asked Kiran to demonstrate and teach the students a few basic steps from Indian classical dance! 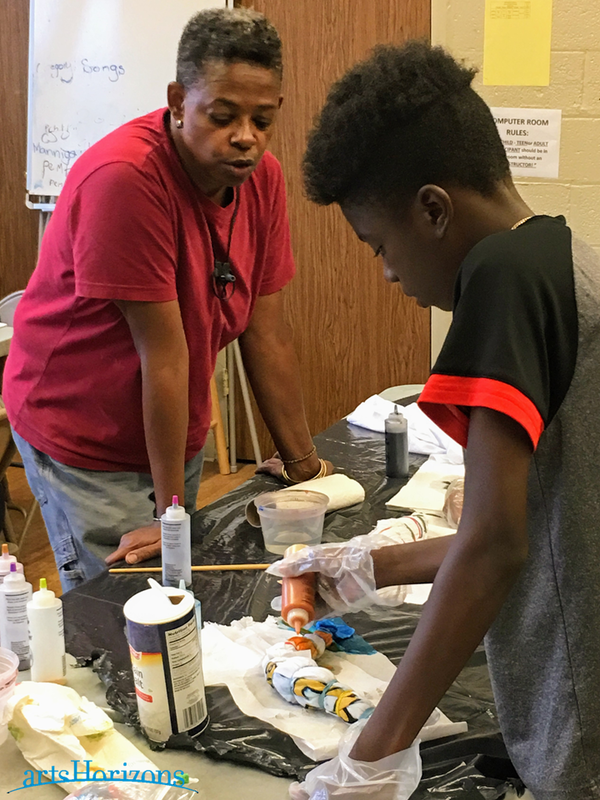 An experienced teaching artist and a prolific painter, Natalie Alleyne had students create their own customized t-shirts for her visual arts residency at Edenwald Cornerstone. Students first handpainted their own designs onto blank, white T-shirts using fabric paint. 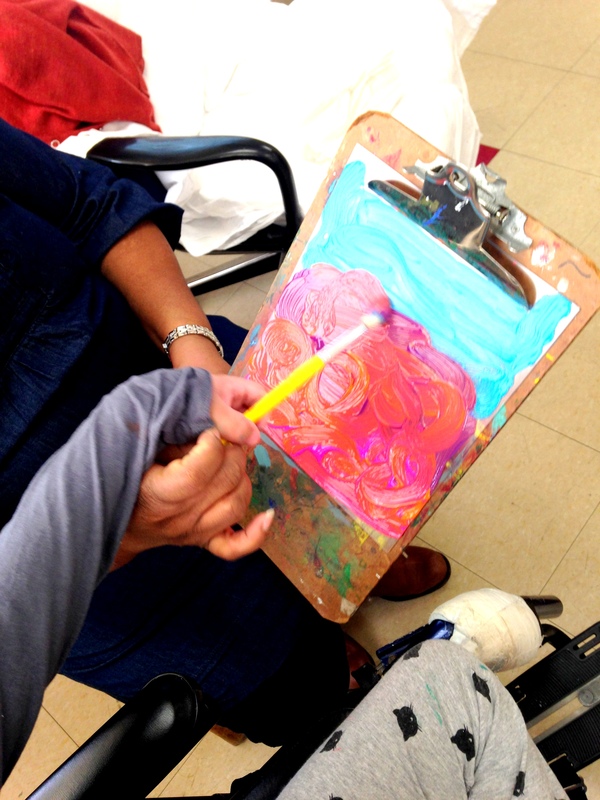 On the last day of the residency, students learned how to tie-dye their painted t-shirts. Natalie shared useful tips such as adding salt in order to help the fabric take the dye along with different ways to fold up the t-shirts to create different patterns. Ibrahima Camara, a master West African drummer, singer, and dancer from Guinea, taught percussion to students at Boston Secor Cornerstone. 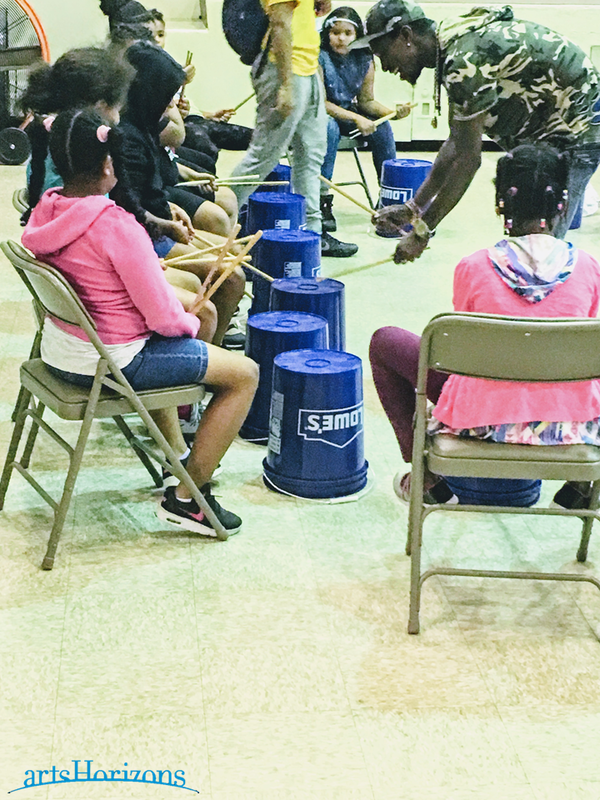 Ibrahima had his students sit in a large drum circle, and he used a traditional call-and-response method to teach students how to tap four basic sounds on bright blue Loew’s buckets using wooden drumsticks. Enrollment in Ibrahima’s class had unexpectedly increased so much from the first class that there were not enough drumsticks to go around. However, students graciously shared the drumsticks with each other so that everyone had a chance to play along! Arts Horizons is thrilled to see such active participation in the arts at these MMCC Cornerstone sites, and we are grateful to hear that our teaching artists’ efforts were well appreciated by students, faculty, and administrators. We would also like to thank Ms. Kim Viade and all of the Cornerstone site directors and staff for welcoming us into their programs. We are excited to continue our collaborative work with this amazing organization for the next academic year. Dena Malarek, Arts Horizons Director of NYC Residencies and Special Populations had the opportunity to participate in the 2014 VSA Intersections: Arts and Special Education Conference, A Jean Kennedy Smith Arts and Disability Program of the John F. Kennedy Center for the Performing Arts. The conference brings together a national and international community of educators, administrators, researchers, teaching artists and more interested in improving the arts learning experience for students with disabilities. Attendees utilized the Guidebook app to stay connected to the most current conference materials, personalize your own schedule, obtain contact cards with other attendees and participate in social media (#vsaintersections ) directly in the guidebook app. The pre-conference workshops and conference workshops were offered along various tracks including: Drama/Theater, Dance, Visual Arts, Music, Research, and Across Art Disciplines. A rich wealth of information was captured in the conference – below are two notable workshops on arts and special education. An exciting presentation, by the Barber National Institute explored the use of iBooks and other digital art technology to create social stories for students with Autism and intellectual disabilities. This project was a natural integration of digital arts educators, school psychologists, and special educators to develop indivualized social stories for their students. Social stories help a child with autism navigate a situation, where to direct attention and what to expect. The use of integrating digital arts for social stories is a high priority need for students with disabilities, utilizes evidence based practice (social stories and video self-modeling based on Bandura’s theory on Observational Learning, is a direct translation into digial media. Students with Disabilities and the Core Arts Standards: Guiding Principles for Teachers, Sharon M. Malley, Ed. D.
“The Core Arts Standards are designed to guide US schools’ arts curriculum, instruction, and assessment (NCCAS, n. d.). Standards writers included a review team of arts and special education professionals, led by The John F. Kennedy Center for the Performing Arts, ensuring that each standard encompasses a broad range of communication and learning styles.” The guiding inclusion standards for students with disabilities are included as an addendum, or separate guidebook directly on the national core arts standards information page. It’s function mainly is to use inclusive language and make general overarching guidelines for arts instruction for students with disabilities. nder contract with VSA and the John F. Kennedy Center for the Performing Arts. Teaching Artist Mr. Derick Cross returns to provide a Hip Hop History program over 10 weeks where students had the opportunity to create music with their mouths (beatboxing), write various forms of poetry, and create Graffiti influenced art, and learn how to make improvised songs versus structured songs. Derick Cross aka D. Cross is a multi-dimensional artist and educator. Cross is a Queens New York who has called Brooklyn home for over 15 years. His visual artistry is created in a variety of media including acrylics, oils, & polymer clay. D.Cross’ work has been shown throughout the New York metropolitan area as well locations nationally (Atlanta)& internationally (Sweden& Brazil ) His work is part of the collections of Erykah Badu(Singer), Ed Lewis (Founder of Essence Communications), Ruby Dee (legendary actress) Judith Jamison (Alvin Ailey Director & Legendary Dancer &choreographer) and Bashiri Johnson (Michael Jackson Percussionist & music producer) among others. 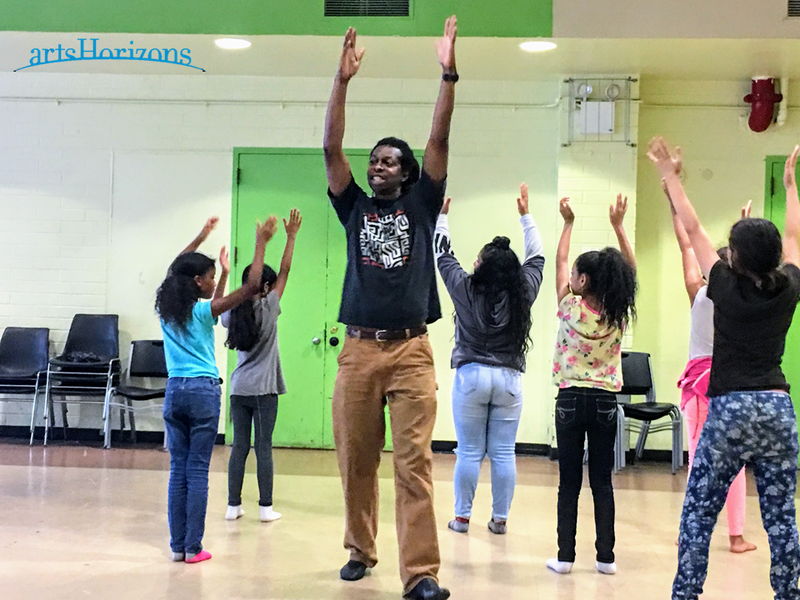 As an Arts Educator Mr. Cross has worked with young people from ages 4-21 for the past 20 years .Organizations he has worked with include the NYC Department of Education, Community Works & Arts Horizons. In 2007 DCross was presented with a proclamation from State Senator Velmanette Montgomery and honored as a notable artist of the Clinton Hill/Fort Greene area. Derick Cross is currently a board member of The National conference of Artists ‘New York chapter. He is also art director of African Voices Magazine. “We are very grateful to Art Horizons to have been included in the Christopher and Dana Reeve Foundation Grant. I hope our kids can continue to receive this wonderful quality of life grant. It has definitely improved their quality of life here at Kingsbrook,” Says Guerline Nelson, classroom Teacher at P 721K Hospital school site at Kingsbrook Hospital. Arts Horizons, one of the largest arts-in-education organizations in the New York/Metropolitan area, has been awarded a Christopher & Dana Reeve Foundation 1st Cycle 2013 Quality of Life grant to support the Arts Horizons “Art Beat” program. We are pleased to partner with P 721K to provide music and visual arts programs for pediatric students at Kingsbrook Jewish Memorial Hospital in Brooklyn. Student’s here are undergoing extended hospital stays for severe acute care while some of the students are part of the chronic inpatient care for severe developmental and metabolic disorders. 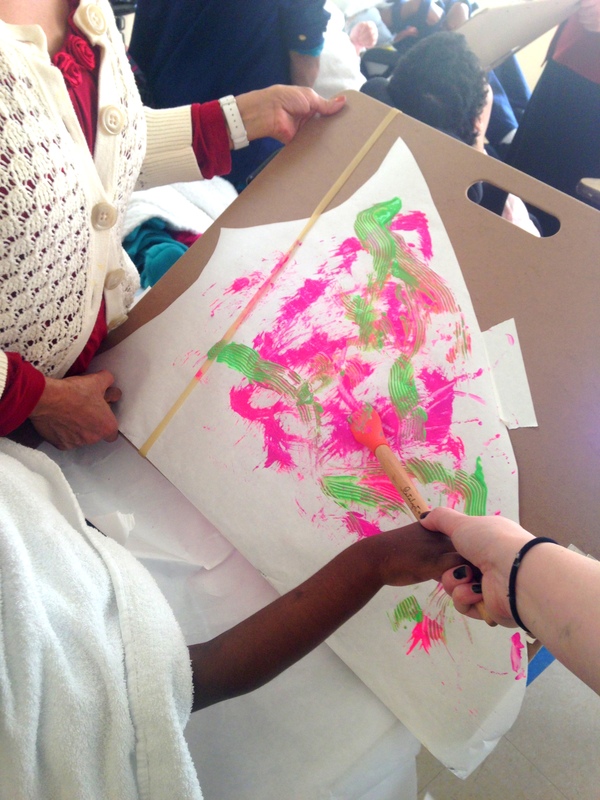 Arts Horizons teaching artists work alongside educators and staff from P 721K, The Brooklyn Occupational Center, to provide continued education to support students individualized education plans while hospitalized. We partner to support the schools mission to enable young adults with developmental disabilities to realize their talents, strengths and capabilities in order to live and work in our community as independently as possible. Through the arts, we provide meaningful experiences for these students to express their capabilities and merge arts, education communication and healing at the hospital school site. Cheryl Walpole, Licensed creative arts therapist, MPS, ATR-BC, LCAT, enters her third year working with the students of Kingsbrook Hospital. 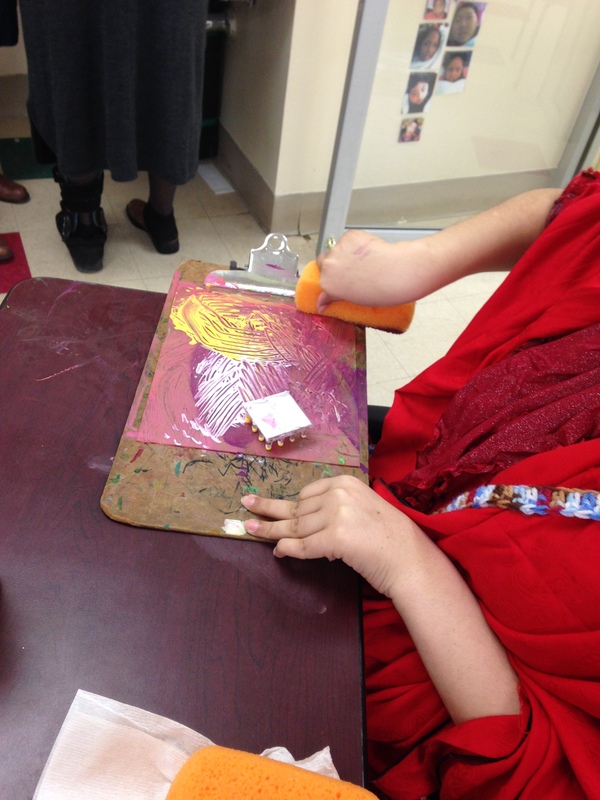 Cheryl aims to provide a sensory art experience for students to participate with the greatest level of independence. “Cheryl is great. 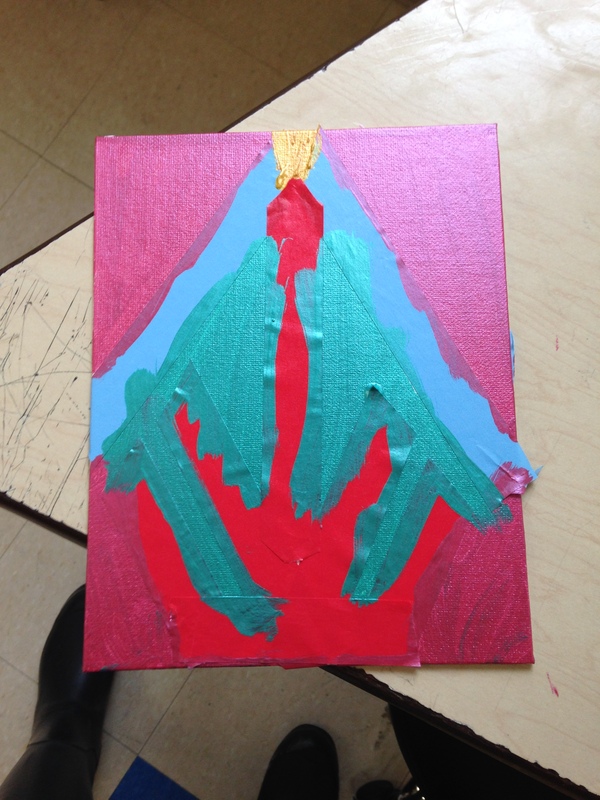 She exposes the kids to different textures, she allows them to engage with different materials to create art and express their emotions.” Arts Horizons is proud to share the work of our amazing artists and the beautiful arts expressions of the students at P 721 K at Kingsbrook Hospital. Thank you for the honor and support of the Christopher and Dana Reeve Foundation. 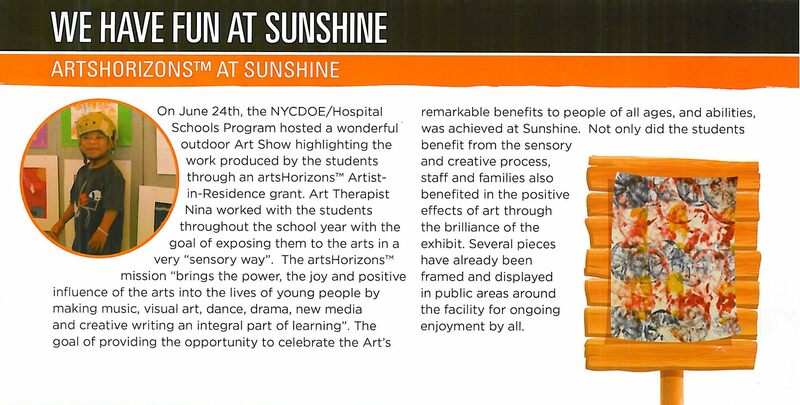 Arts Horizons is excited to be featured in the Fall Newsletter for Sunshine Children’s Home and Rehab Center for our 2013 Visual Art Show, led by Arts Horizons teaching artists Nina Tantillo Elton and Marie Diperri in collaboration with the educators and hospital staff. In the second year of the visual art program, the artists have developed a collaborative relationship with the hospital schools and sunshine home staff. The artists carefully design the lessons, the materials and staff training to maximize student participation in their own visual arts. Each student works 1:1 to enable them to respond, select, and interact with a variety of visual arts mediums. 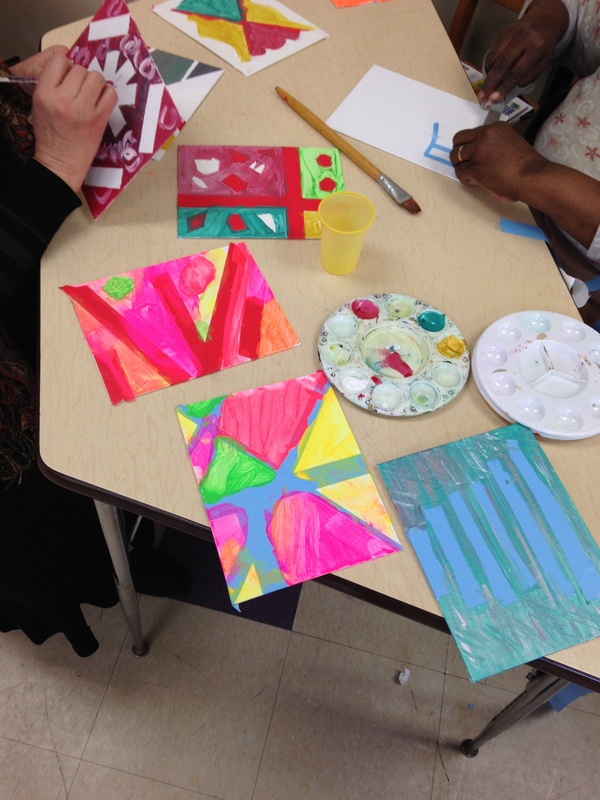 The 2013 program met with students and teachers for 17 sessions for hands-on art workshops. The workshops remain firmly based in the ideal of process over product and each class will continue to emphasize experimentation utilizing collage, painting, drawing, and paper maiche. This curriculum outlines the following themes that depend on the pace, development, and temperament of the children: The Seasons, What makes a Landscape? Animals in the Landscape. The students’ art work and energy at the final visual art show celebration demonstrates the success and excitement for the arts at Sunshine Home. Arts Horizons, one of the largest arts-in-education organizations in the New York/Metropolitan area, has been awarded a Christopher & Dana Reeve Foundation 1st Cycle 2013 Quality of Life grant to support the Arts Horizons “Art Beat” program. Founded in 1999 by the late Dana Reeve, The Christopher & Dana Reeve Foundation is committed to supporting non-profit organizations that seek to improve the quality of life for people living with paralysis. This year the Foundation has awarded more than $500,000 in Quality of Life grants to 74 recipients in the United States and Canada. Arts Horizons will use the $5,745.00 grant to support its ArtBeat teaching artists. ArtBeat is a unique partnership between Arts Horizons, New York City Hospitals, and the New York City Department of Education. The program provides interactive music, theatre, and visual art workshops to promote rehabilitation, learning, and cultural experiences for special needs students with extended, and in some cases residential, hospital stays. The program has been adopted by five hospital school locations in New York City that provide psychiatric and rehabilitative care. ArtBeat merges the fields of art, healthcare and academics to create a space of comprehensive education, expression, nurturing and healing. “We are honored and grateful to have the continued support of the Christopher & Dana Reeve Foundation,” says Dena Malarek, Program Director. Our team of educators, artists, and healthcare professionals is continually eager to give hospitalized children access to create, express, and nurture their creative voice and transform the hospital experience”. The Christopher & Dana Reeve Foundation Quality of Life grants program was conceived by the late Dana Reeve to address the myriad needs of children and adults living with paralysis and other mobility impairments and their families. Grants support critical life-enhancing and life-changing initiatives that improve physical and emotional health and increase independence. The Foundation has awarded 2,205 grants totaling nearly $17 million to organizations since the program’s inception fourteen years ago. The Christopher & Dana Reeve Foundation is dedicated to curing spinal cord injury by funding innovative research and improving the quality of life for people living with paralysis through grants, information and advocacy. The Foundation meets all 20 of the Better Business Bureau’s standards for charity accountability and holds the BBB’s Charity Seal. The Paralysis Resource Center (PRC) is a program of the Reeve Foundation, and is funded through a cooperative agreement with the Centers for Disease Control and Prevention (CDC) Award No. U59DD000838. For more information, visit the Foundation’s website at: ChristopherReeve.org or call 800-539-7309.